In the past few months, Avenue Realty Associates has noticed a growing trend of online bloggers highlighting their lifestyles in our St. Louis Metro East communities. Following along on their journeys has made us proud to be residents and realtors serving our great communities! 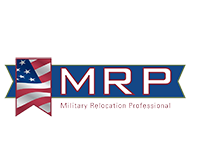 This past July, Avenue Realty’s Managing Broker/Owner Kathy Mordini received a Facebook message from a military spouse based in North Carolina who recently found out her family would be relocating to Scott Air Force Base. Not only was she looking for a place to call home, but wanted a home with history, charm, and located within walking distance to dining, shopping, and entertainment. She had a VERY special home in mind that was for sale by Kathy in Belleville, IL: a three story, 4,200 sq ft Victorian home built in 1887. Kathy was able to deliver and quickly moved Emily and her family into this beautiful home by the end of August 2017. Since then, Emily and her family have made themselves at home in the Metro East and have been spreading so much joy around our communities with their blogs The Brick and Maple and Belleville Blogs. Emily has quickly become a friend of the Avenue Realty Team, so with her history in journalism and love for the Metro East we gladly invited her to help us with our new blog called, The Inside Scoop with Avenue via Parkbench. And now, let us introduce our Avenue Insider, Emily Farrington Smith. Emily Farrington Smith is a recent St. Clair County transplant. As the wife of an Air Force officer, she comes here by way of North Carolina, Arkansas, and Florida. After graduating in 2008 with a degree in Mass Communications with a concentration in Journalism, she worked as a civilian journalist for the Air Force. For the last 7 years she has been writing visitor’s guides for major Southern travel destinations, weekly blog posts about those same locations, and a monthly segment for Charlotte Happenings magazine. After using Avenue Realty to find her historic home in Belleville, she decided to join the team as an Avenue Insider. With her background in travel and tourism marketing and magazine feature writing, Emily feels her unique perspective as a military spouse will lend to her ability to really get out in the community, find those hidden spots that only those who have lived here their whole lives know about, and to be able to encourage others to do the same. After all, you have to bloom where you’re planted, right? Her claims to fame are having a book published in 2011, a singular Facebook post that reached viral-status at 10,000 shares, and once getting to interview the Jonas Brothers’ dad. When she’s not writing or trying to be funny, Emily can be found homeschooling her 2 wild boy children, working with her husband to rehab their 1887 Victorian, traveling the world, baking, crafting, and scouring hole-in-the-wall antique shops for special treasures. We are so excited to add Emily to our Avenue Realty Team! Follow us on Facebook and Parkbench (links below) for future blogs! For all things community – news, events, real estate market reports, etc. Visit Parkbench!